Back in June, I had the pleasure of speaking at Information+, an interdisciplinary conference on information design and information visualization organized by Isabel Meirelles and Katherine Gillieson. You can watch my talk -- on "How to think like a data journalist" -- below. If you don't have time to watch the whole thing, folks on Twitter did a pretty good job of summarizing the key points. You can check out videos of all the talks on the Information+ website. There were so many great talks at the conference, it's hard to pick out my favourites. But I particularly recommend you check out Tamara Munzner's keynote, Robert Kosara on pie charts, Gregor Aisch on creating graphics for The New York Times, Lena Groeger on ProPublica's "meat charts", Andy Kirk on doing data viz training, Scott Murray on designing online learning, Heather Krause on communicating data globally and Johanna Fulda on the state of data journalism in Canada. Chad Skelton from Information+ Conference on Vimeo. 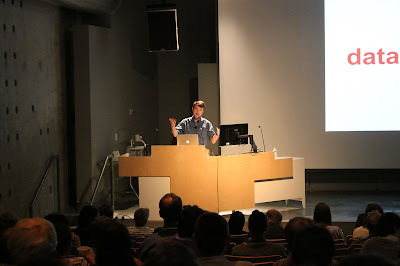 And thanks to Alberto Cairo and Heather Krause for saying nice things about the talk after I posted it on my blog.